Springmoot 2017 will be held in Warwick at the Warwick Arms Hotel from Friday 21st until Sunday 23rd April, with The Tolkien Society AGM and Annual Dinner on Saturday 22nd April. Bookings for the Annual Dinner are now open. 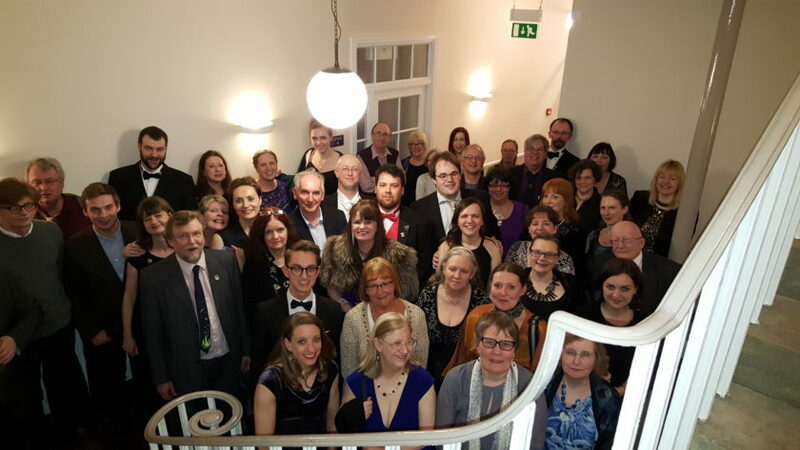 This year Springmoot returns to Warwick for the first time since 1996, with the AGM and Annual Dinner being held at the Warwick Arms Hotel in the town centre. The weekend will begin with an innmoot at The Cape of Good Hope from 19:00 on Friday evening. The AGM itself will be held on the Saturday afternoon, and may only be attended by members of The Tolkien Society. The semi-formal Annual Dinner will be held later that evening at 18:30, after which the Guest of Honour – Mark Atherton – will deliver the after-dinner speech. Bookings for the Annual Dinner are now open! The dinner costs £27.95 per person. For all booking queries, please contact the Bookings Officer, Francesca Barbini, directly. If you would prefer to pay by cheque or bank transfer, download the PDF booking form. Bookings will close on Wednesday 12th April. By booking for the Annual Dinner you agree to the events terms and conditions. You will need to arrange your own accommodation. If you would like to stay at the Warwick Arms Hotel, call 01926 492759, say that you are attending The Tolkien Society event, and quote the code 8848 to obtain a discount.